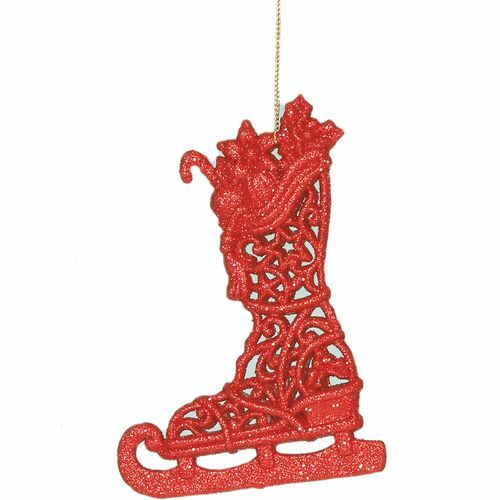 Set of 2 Gold glitter skating boot tree decoration. Approx height of boot 15.0cm. 2 designs with a slight variation.